David is Chief instructor of Shin Sei Dojo, teaching Muso Shinden Ryu, ZNKR Seitei Iaido. David knows as well Muso Jikiden Eishin Ryu and other form of Iai. Eurokendo is a newly established kendo supplier based in Europe. To meets your needs Eurokendo.com offers you only the best quality kendo equipment at reasonable prices. Our staffs are all experienced and enthusiastic kendogas who understand the needs of budo practitioners. Black Ronin Martial Arts Supplies (Black-Ronin MAS) has been serving the needs of UK Martial Arts Enthusiasts since 2005. 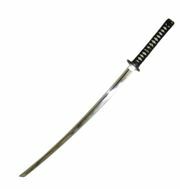 Regardless of the martial arts style or system you are interested in, Black-Ronin Martial Arts Supplies can provide you with the martial arts equipment you want and need.